16:00 HORAS APERTURA DE INSCRIPCIONES CON BOLSA DE REGALOS (PIN, CAMISETA ETC). CERVEZA DE BIENVENIDA SABADO Y DOMINGO 12+1 EUROS 18:00 HORAS RUTA BARITIMA POR LA CIUDAD. 20:30 HORAS UNA GRAN ACTUACION DE SHOW MOTERO A CARGO DE “MARIO STUNT”. MAXIMO 150 INSCRITOS TROFEOS: • MOTOCLUB MAS LEJANO, (MININO 3 INSCRITOS) • AL MOTOCLUB CON MAS INSCRITOS. • AL PILOTO MÁS LEJANO EN MOTO. 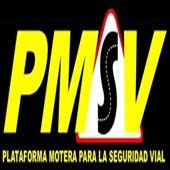 • AL PILOTO MÁS VETERANO CON MOTO. P.D.- TODOS LOS HORARIOS Y EVENTOS PODRAN SER MODIFICADOS POR LA DIRECTIVA PARA EL BUEN FUNCIONAMIENTO DE LA CONCENTRACION.